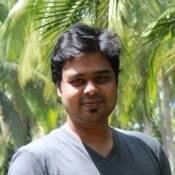 Saurabh Biswas is a PhD Candidate at the School of Sustainability, Arizona State University. His research focuses on the systemic interlinkages of poverty and access to energy, identifying intervention points to disrupt the nexus. He works with communities, nonprofits and small businesses in Asia, South America and Africa to collectively design local transformational projects, leveraging decentralized and localized energy resources to create pathways to greater well-being for communities. Saurabh holds a Master’s in energy systems engineering and previously worked on solar photovoltaic power plant design, energy efficiency and micro-grid design. In the course of his doctoral research, he co-founded the community initiative Rio Claro 2020.